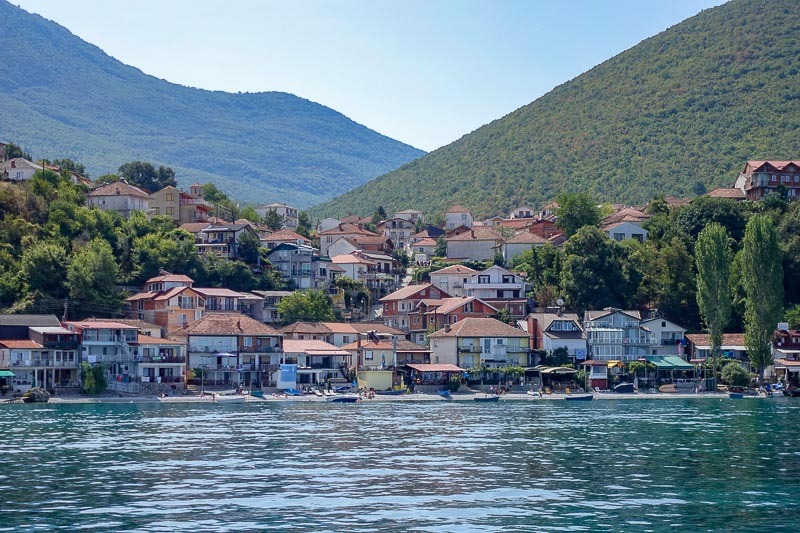 Ohrid is a lakeside town on the banks of – funnily enough – Lake Ohrid in the southwest of the Republic of Macedonia (FYROM). 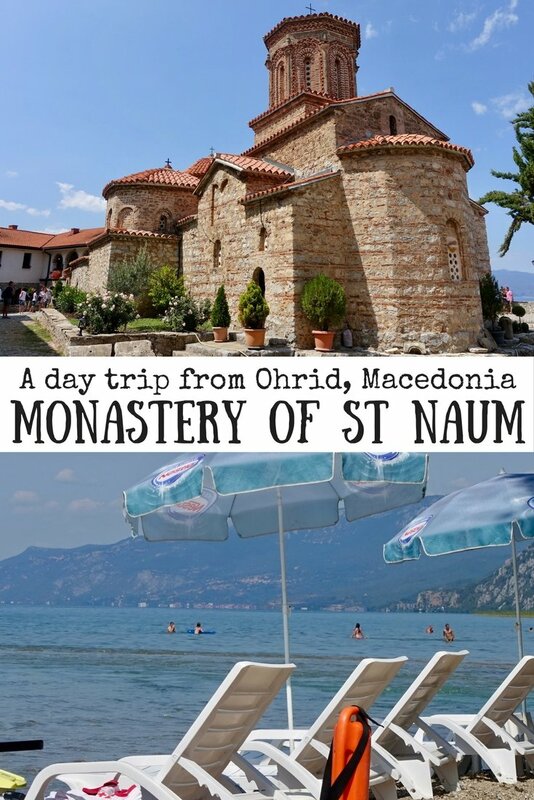 Everyone we spoke to before our arrival said we had to visit the Monastery of St Naum (also called Sveti Naum). Here’s what we found out during our visit that will help you with yours. 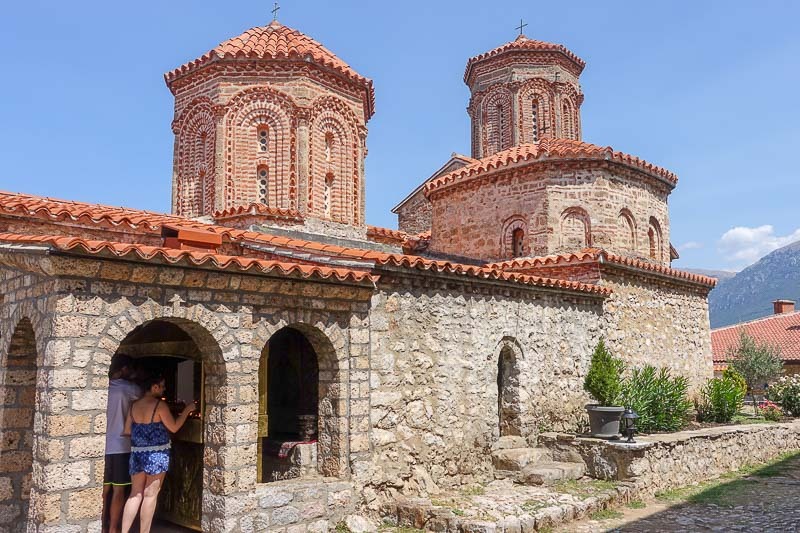 Prefer to combine your St Naum visit with an Ohrid city tour and the Bay of Bones Museum? 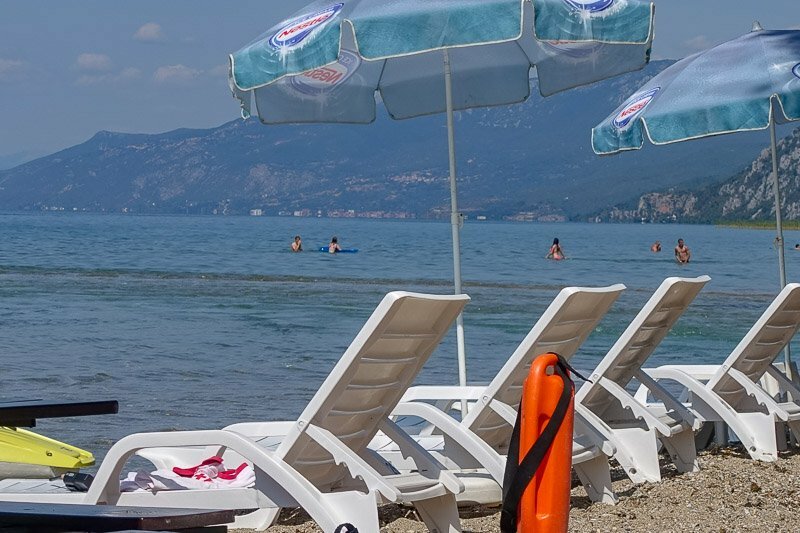 Ohrid is a resort town, nestled neatly between the banks of the lake and the hills surrounding it. 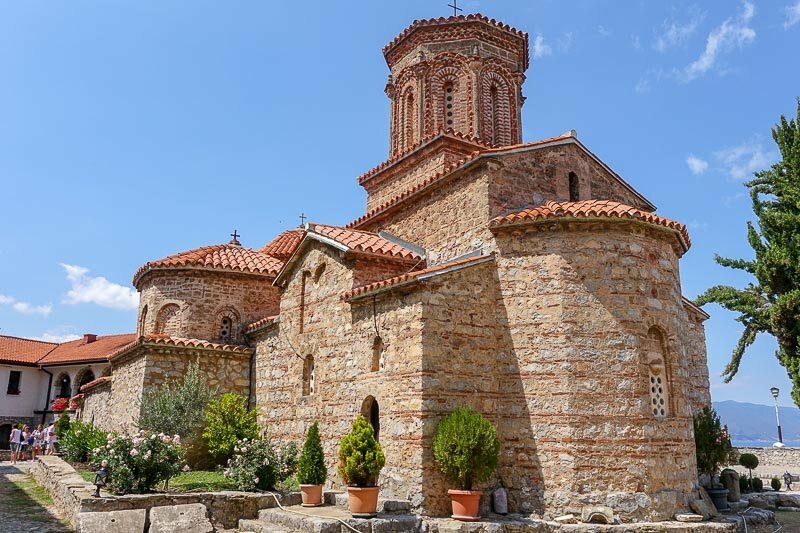 The Monastery of Saint Naum is located 29km to the south of the town, also on the banks of Lake Ohrid. 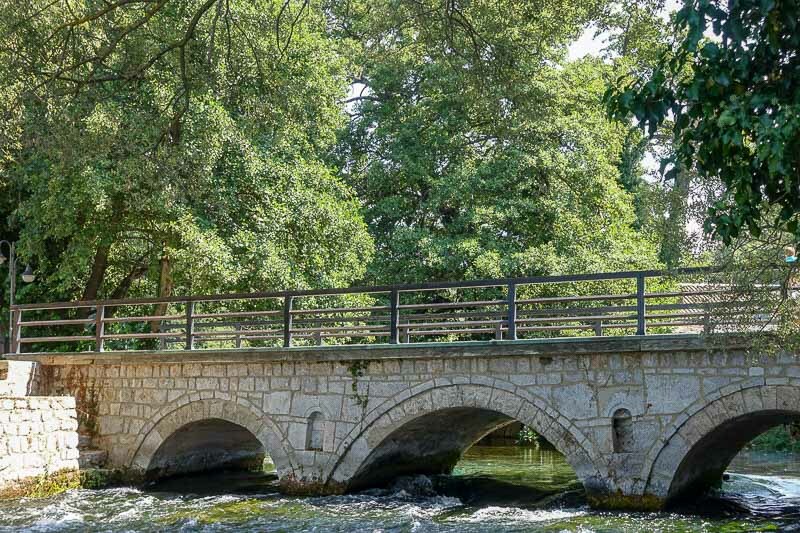 During the busy summer months there are a few different options to get to St. Naum. 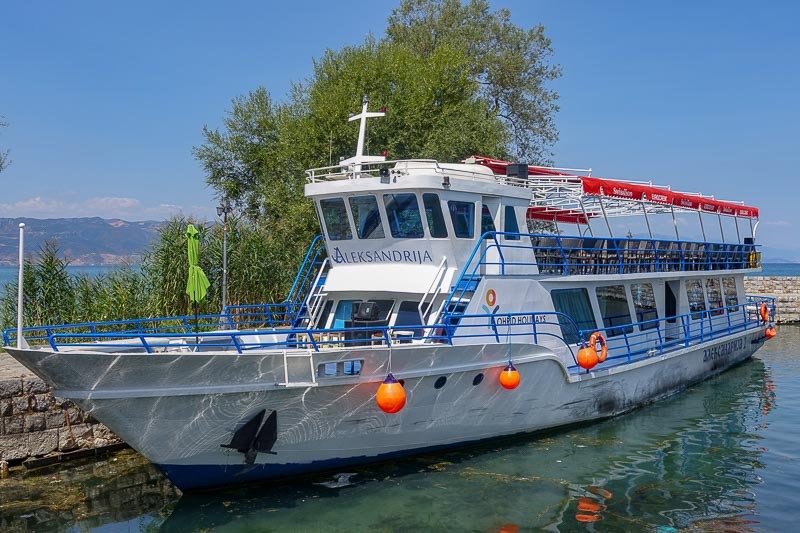 We chose to go there using the Ohrid to St Naum boat Aleksandrija from the main pier in the centre of town. The boat left at 10am from Ohrid, and from St Naum at 3:30pm. The trip took about 90 minutes each way. 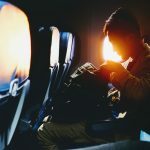 The return trip cost €10 each. The boat proclaims to have commentary also in Dutch and English, and to some extent it does, for basics such as welcome aboard messages. 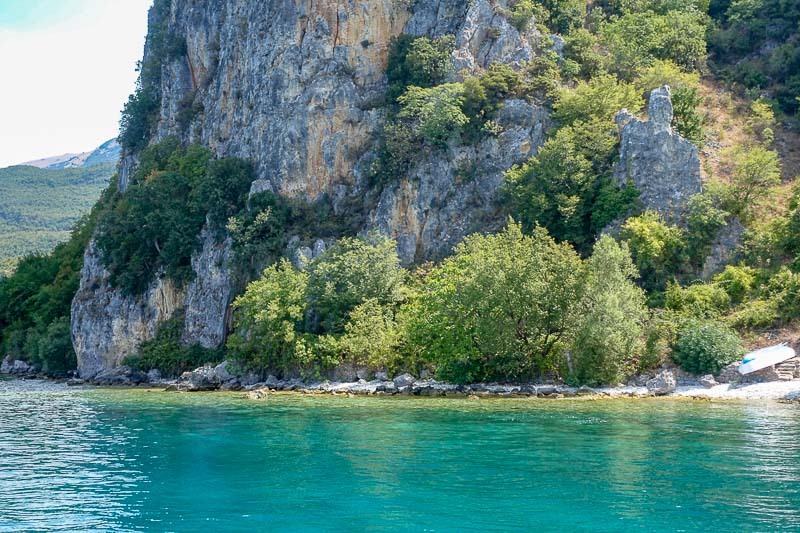 As we travelled along the banks of the lake other sites were pointed out, such as the Bay of Bones Museum and the town jokingly called St Tropez by the locals. At these points there was only a quick mention made in English, but a much longer commentary in what I presume was Macedonian. At some other points there was no English commentary at all. Nevertheless, it was an enjoyable ride each way, and I would happily recommend it. Note the boat left almost exactly on time from both Ohrid and St Naum. Don’t be late or you will likely miss it. 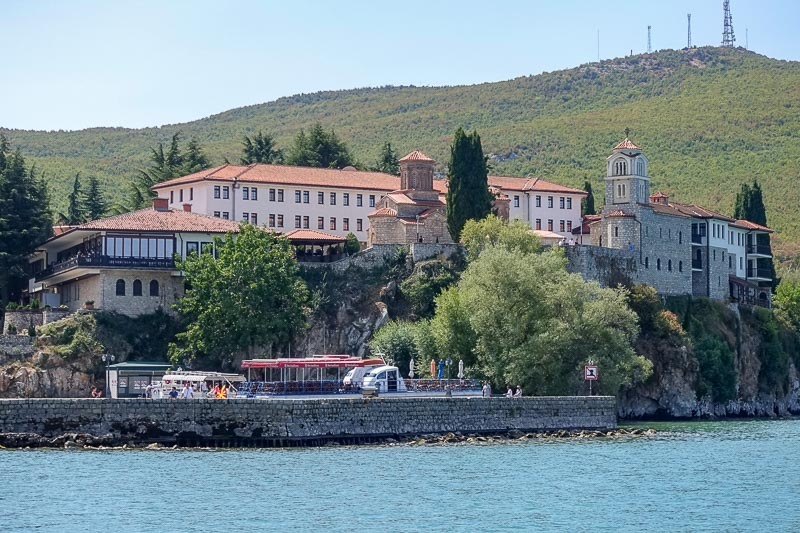 It is also possibly to catch a bus to the St Naum Monastery. They run every couple of hours in each direction during the day. 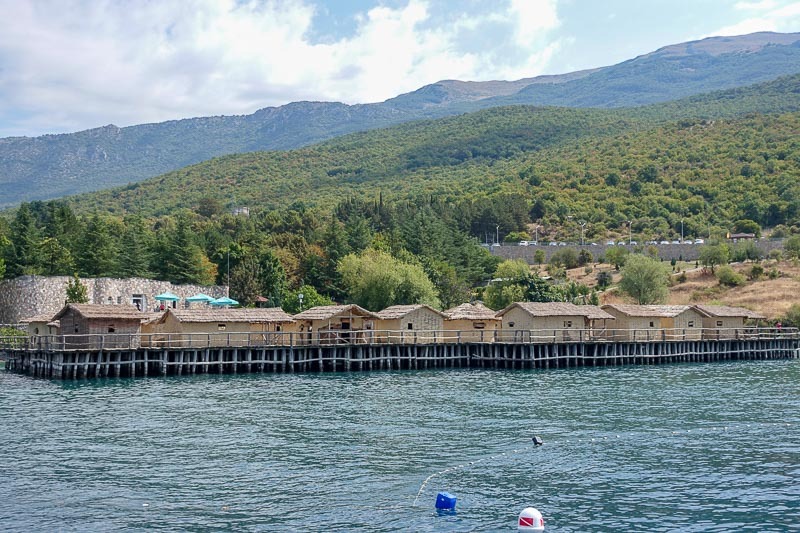 Taxi’s will also take you to St Naum. The monastery itself sits high on a cliff over looking the lake. The church was built in the tenth century, and is now the burial place of St Naum. It is an Eastern Orthodox Church with many old frescoes on the walls, and some of the best Macedonian icons are housed here. It is quite small, and was crowded with people, tourists and worshippers alike, during our visit. Photos were not allowed, so you will have to visit for yourself to see inside. Entry was free. Inside the grounds of the Macedonian monastery is a fantastic area with amazing views over the lake. There is also a hotel which now takes up part of the old monastery buildings, and a restaurant. 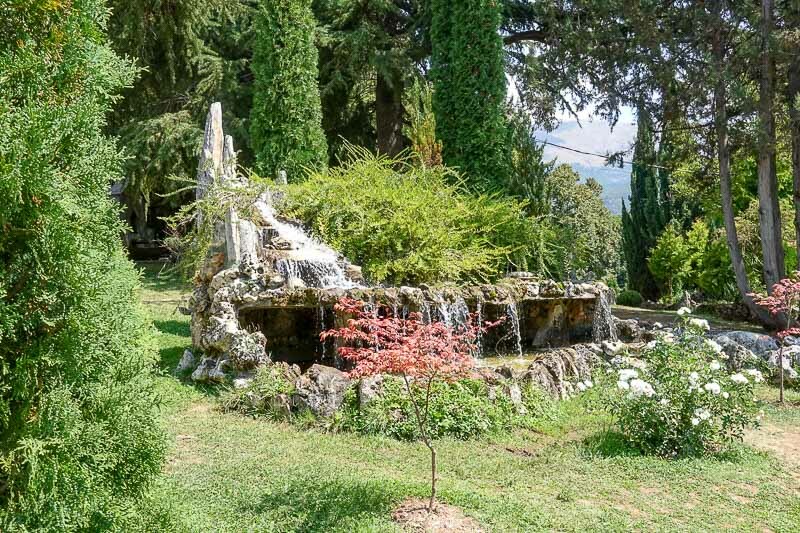 The gardens behind the monastery are lovely and a great place to relax in the shade in the heat of summer. Slightly further afield are a few other smaller chapels if you wish to walk to visit them too. 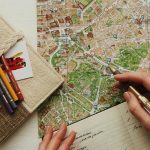 There are frequent maps and well marked paths showing the way.Go far enough and you will be exploring the National Park of Galicica, but that is better off being left for another trip. One of the other attractions of the Monastery are the peacocks that roam freely around. We saw them in the distance and on the buildings, but didn’t get close to them. At this time of year they have shed their tail feathers and they are still growing back. I’m sure a visit in spring would have them prancing around showing off. Not far from the monastery is the St Naum springs. 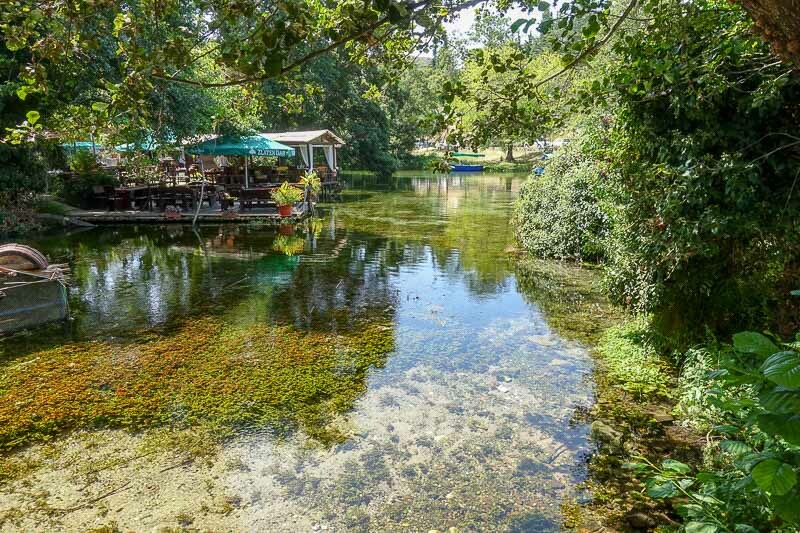 This waterway flows into Lake Ohrid, but looking at it, it seems not to run at all. It is brilliantly clear, and looks perfectly peaceful. 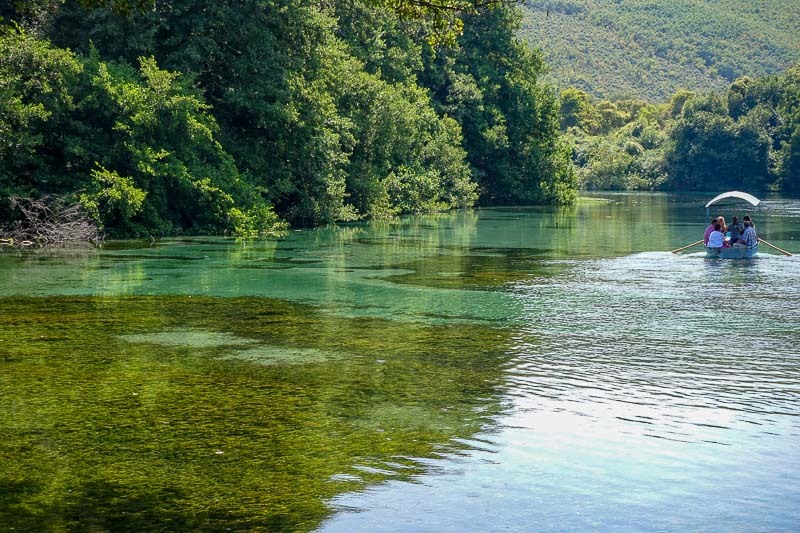 It is possible hire a boat and be rowed around the lake created by the springs. The prices are per boat, so it’s best to get a group together for the ride. We didn’t realise that there is a fantastic beach here to take a quick dip to cool off. The water is warm and calm, and loungers line the shores. We sat on some for a while outside of one of the cafe’s. 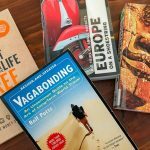 The charge was 140MKD (about €2.50) each for the use of them. I’m not sure if all of the lounges need to be paid for as there was a whole big stretch that was not near a food or drinks outlet. 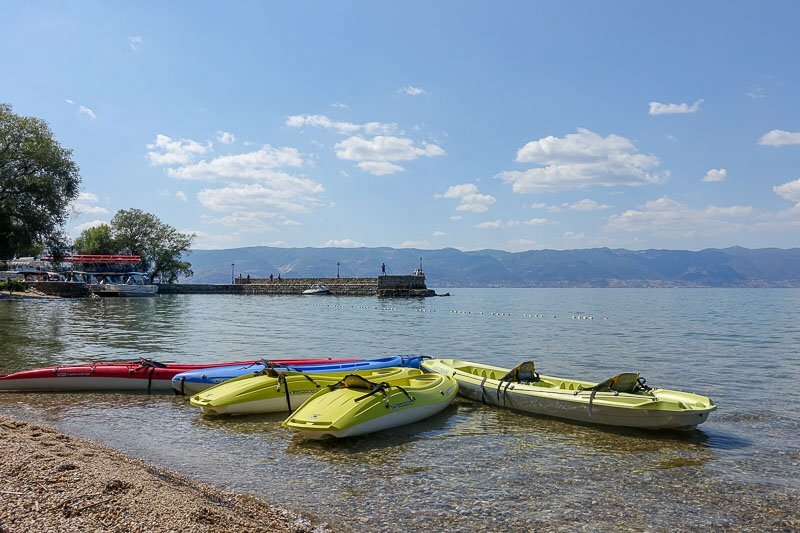 Hire a kayak and do some kayaking on Lake Ohrid. Look how clear and smooth that water is. There are a few different options for food, from the restaurant at the monastery, to more places down near the spring. If you continue to walk past the spring and through the far gate to the carpark, there looked to be more local food places, but I only briefly glanced through the gates. We ate at Connecting with Cuba Libre – at least I think that was what the name was. There was a lot of information about how they were run by the same group that runs the popular Cuba Libre night club back in Ohrid. The food was not too bad, and portions were generous at reasonable prices. I was expecting poorer quality and higher prices at such and obviously touristy restaurant. This was our view for lunch. It made me completely forget to take photos of our main course! This area is perfect for packing a picnic. There are grass areas and tables available. I had heard that one of the restaurants was hiring out floating picnic tables, so you could sit at them and float around the springs while eating, but I did not see any so maybe they have stopped doing it. You will find a whole pile of little stalls, mostly souvenirs but there is also a small market shop with snacks. 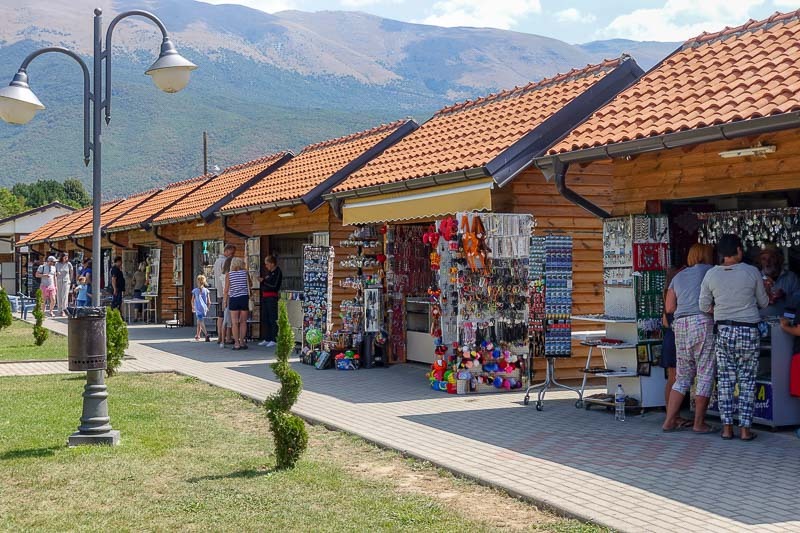 There is no shortage of bathroom facilities, but these are some of the few that required payment in Macedonia, so make sure you take some small change along with you. 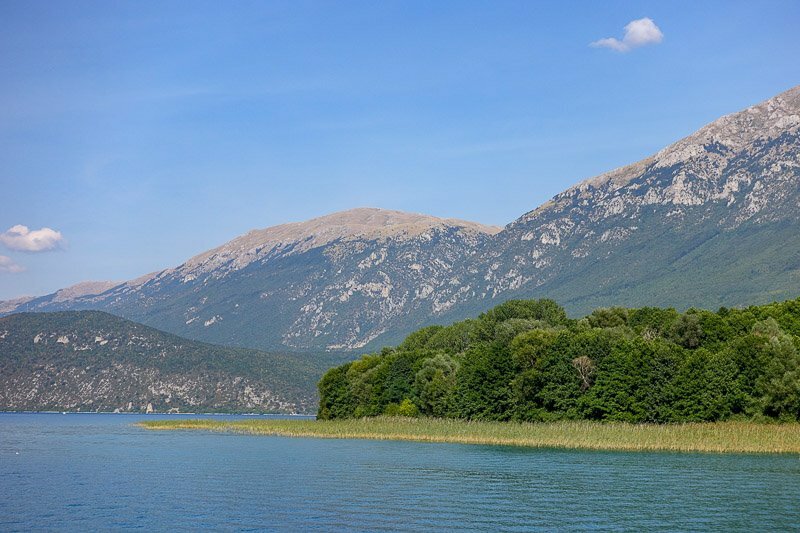 The Monastery of St Naum is only around 1km from the Albanian border. This probably explains the armed guard and fence we saw while walking in the gardens. While others seemed to be freely passing the barrier, we decided to make our way back in the direction of the monastery. We did not realise this may have something to do with border control until later. Just something to keep in mind as you walk around. 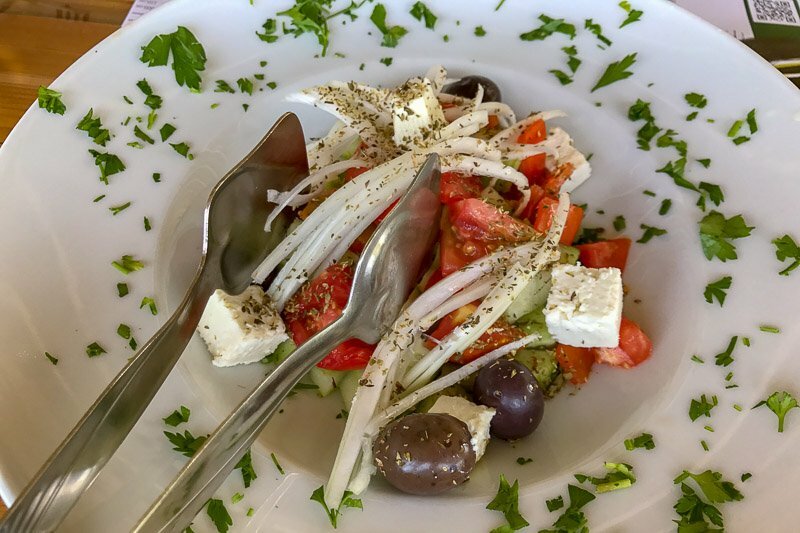 All in all, a day trip to the Monastery of St Naum is so much more than just looking at the monastery. The Lake Ohrid boat trip there is scenic and relaxing, and I am guessing that the bus or taxi trip would have views overlooking the lake so be interesting too. 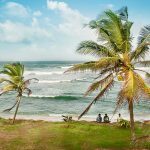 Once there, the monastery is worth a visit, but the springs, beach and restaurants will fill your afternoon with relaxation. 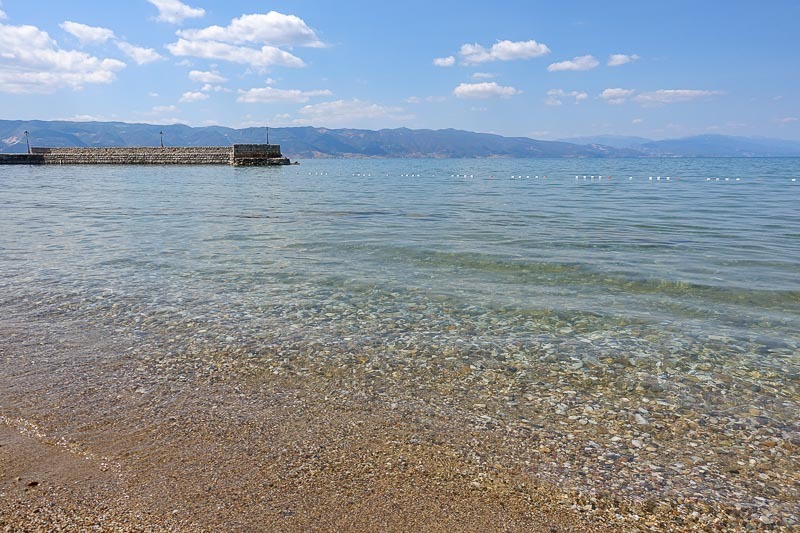 Definitely a trip worth considering if you are looking for things to do in Ohrid. 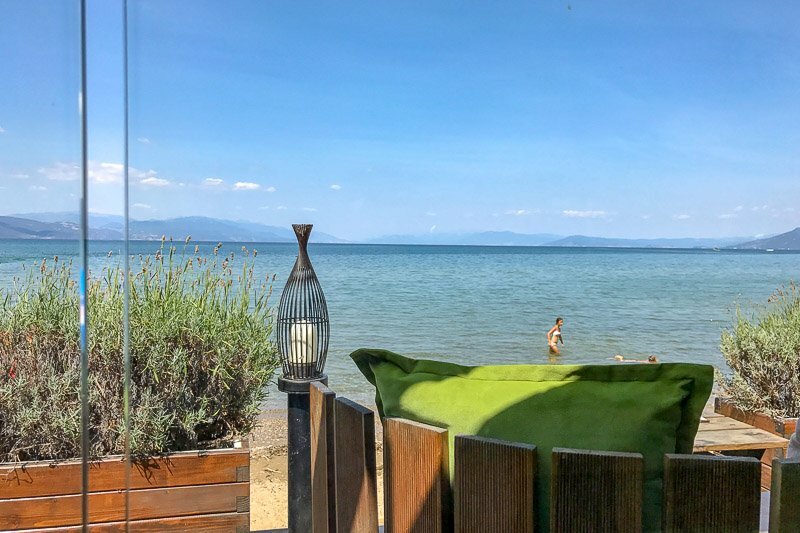 Look at this view over the Ohrid lake! 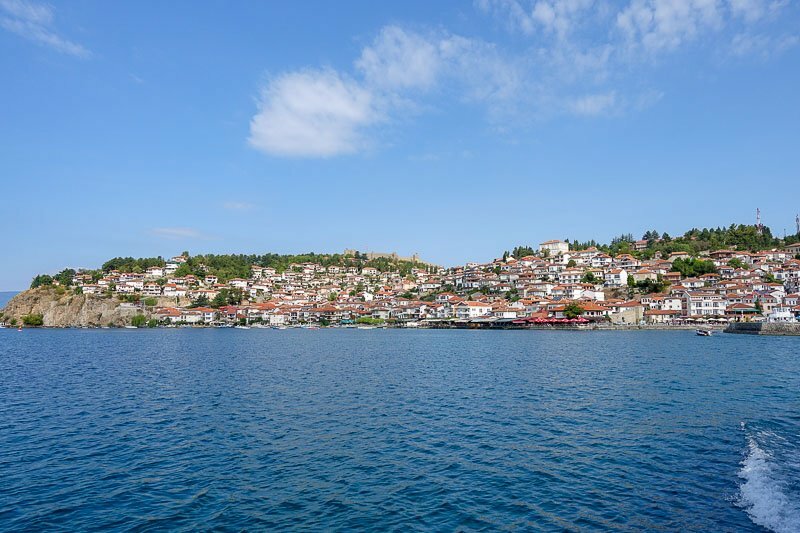 For more things to do in Ohrid, click here to see what I did during my visit. 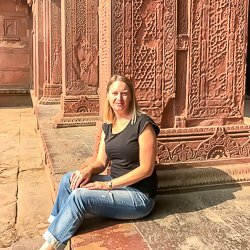 Looking for some longer day tours from Ohrid? How about these? Want to stay overnight at Hotel St Naum and enjoying this paradise for longer? 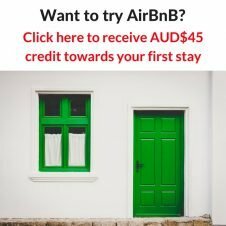 Click here to see availability and prices. Hahaha…we just looked at the guy and thought, well, lates not go that way – but loks of other people were. It was clearly not the border crossing, but must have been not far from it. I really regret not making it to Macedonia this summer. I did some other countries in the area but didn’t make it over. My mums family is from Macedonia so it would’ve been amazing. This monastery looks incredible. And I totally would’ve hired a kayak and gone for a paddle! Just 10 for a return boat trip is great! Love how clear the water is. Can’t wait to get there and go kayaking; after visiting the monastery of course! Macedonia is in general cheap, but yes €10 was great. It was over an hour each way, so really worth it. Thanks Tessa. Yes it is! This was a lovely post. 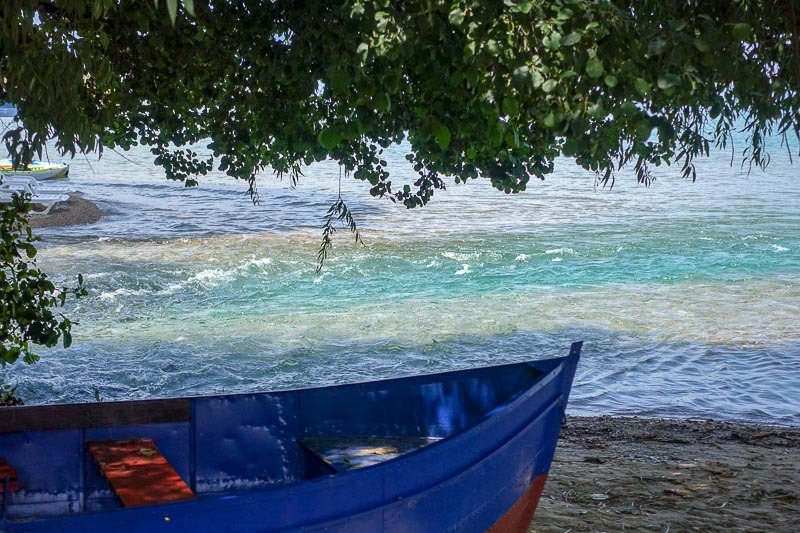 I loved looking at the calm waters, and imagining being rowed around for the day. Thank you Caren. It was a lovely place to relax.